3 july 2007 - Bydgoszcz – Gdanska. The main street in Bydgoszcz can get a bit scary. Trams run both ways, but road traffic is one way with parking on either side. 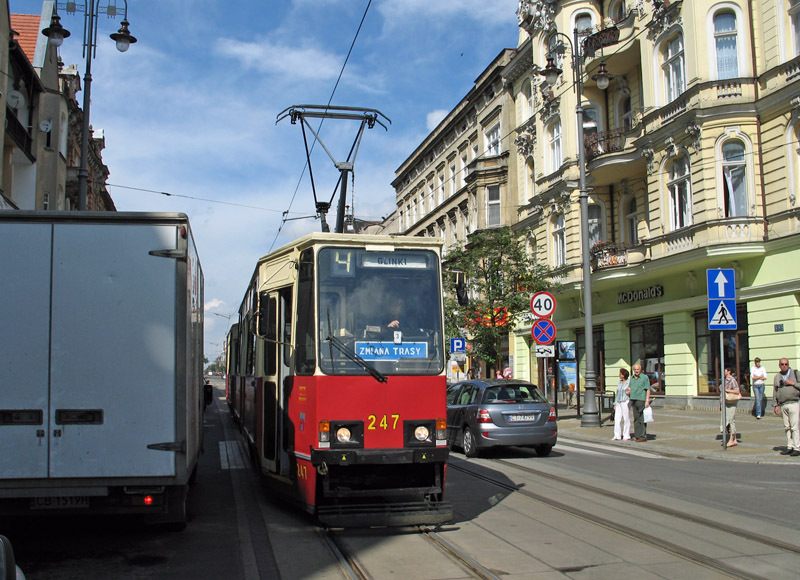 The trams are frequently held up by badly-parked vehicles – the driver of 247 + 248 had to get down and go into a shop to find the truck driver, so it could be moved off the track. That sorry maladroit drivers make the journey from there veeeery exhausting. It hasn't changed for years. Better to walk for smaller distances. ATB from Bydgoszcz.